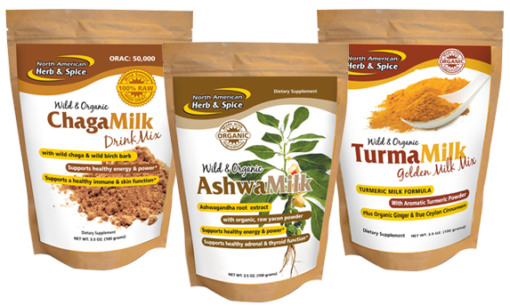 North American Herb & Spice has introduced its latest innovation, a selection of nutritional drink mixes. These tradi­tional formulas have been developed using only the top ingredients from the most pristine areas of the world. 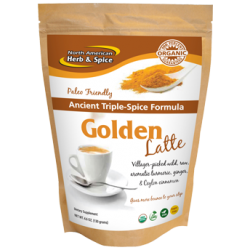 Blending potent, organic, wild, and raw-sourced ingredients delivers massive nutritional density while enjoying a delicious beverage. For your on-the-go lifestyle, add powerful curcuminoids, antioxidants, B vitamins, sterols, and much more. 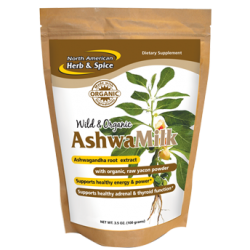 This potent drink mix delivers the power of wild, raw, far northern forest chaga fortified with wild, raw birch bark. 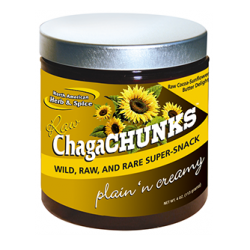 Plus, it contains organic, raw yacon root powder. 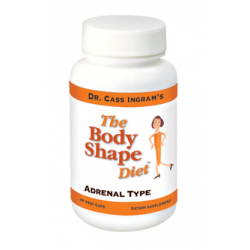 This combination creates immense synergy and potency plus physical strength and stamina. * It also helps support a healthy immune system and skin. 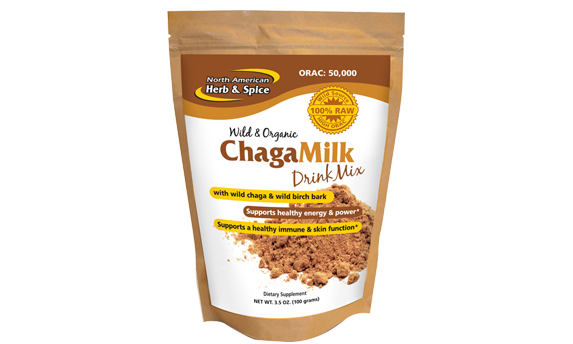 * ChagaMilk Drink Mix is a top source of key substances needed for optimal human health: plant sterols, melanin, beta glucan, rare trace minerals, and antioxidants. 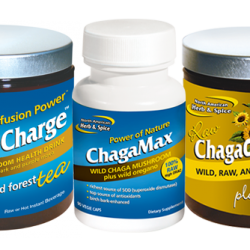 Chaga is the richest source of the all-important enzyme superoxide dismutase (SOD), plus it is a natural source of B vitamins. 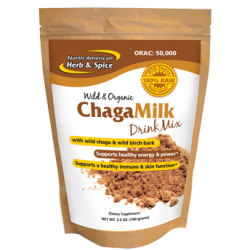 Both chaga and birch bark are top sources of the highly potent plant sterol and antioxidant betulinic acid. 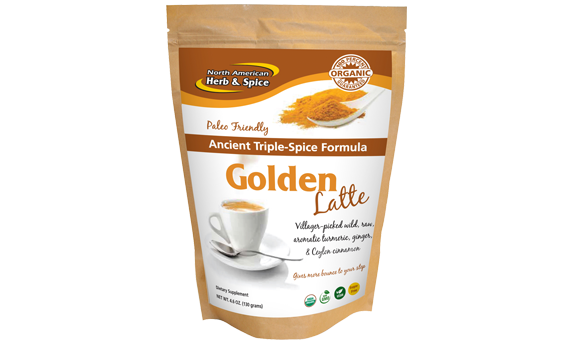 TurmaMilk Golden Milk Mix is a combination of certified organic turmeric powder plus certified organic true Sri Lanka cinnamon and organic ginger. 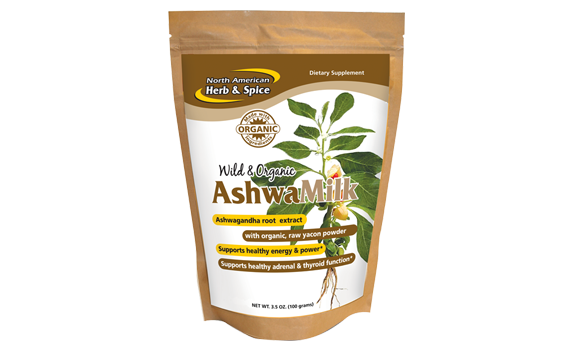 Dense in powerful phytochemicals, our rich TurmaMilk Mix is a unique, potent spice complex; commercial types cannot compare. Made by traditional methods, this organic turmeric is ultra-high in special, potent aromatic oils, the turmerones. Organic ginger is high in novel compounds known as gingerols. TurmaMilk Mix supports a healthy inflammation response plus a healthy digestive response. 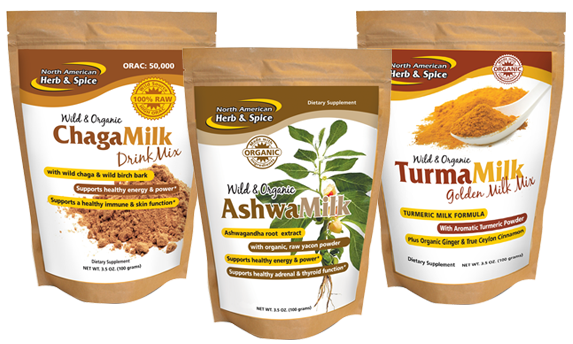 * The turmeric in TurmaMilk is dense in curcumin at 5 % or greater.